The EDR software interface enables an easy control of all the eONE and multichannel amplifiers, showing and saving data in real time. 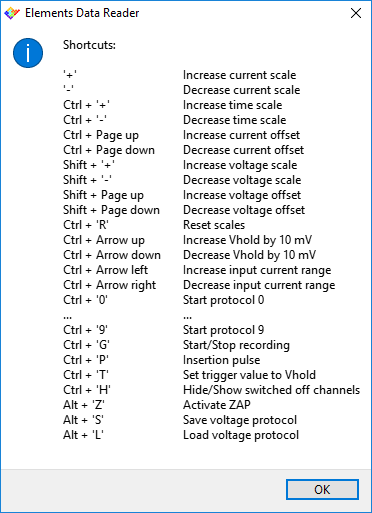 Input current ranges, bandwidth, voltage stimulus and electrode offset compensation can all be easily selected and modified. Data can be stored in commonly used formats like .dat or .abf. 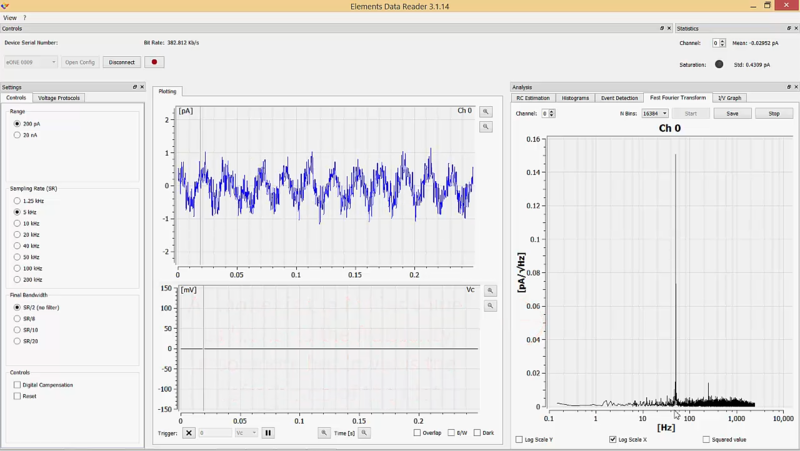 Resistance, Capacitance and rms noise can be continuously monitored. EDR is currently available for Windows and OS X and it is always included in the instrument price. 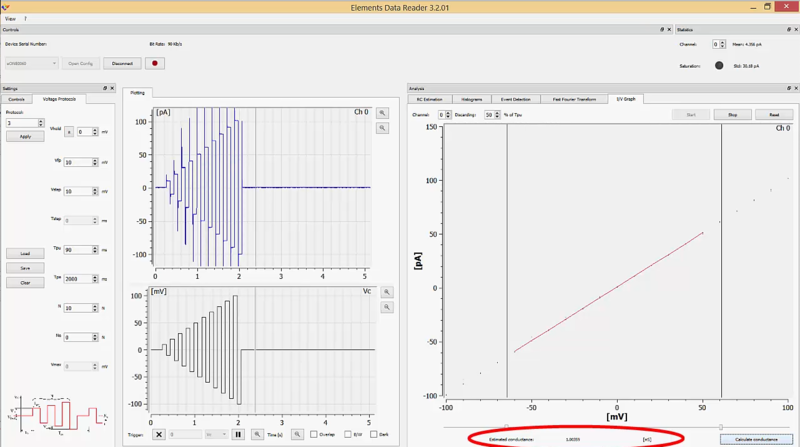 The online analysis module enhances the EDR 3 features. 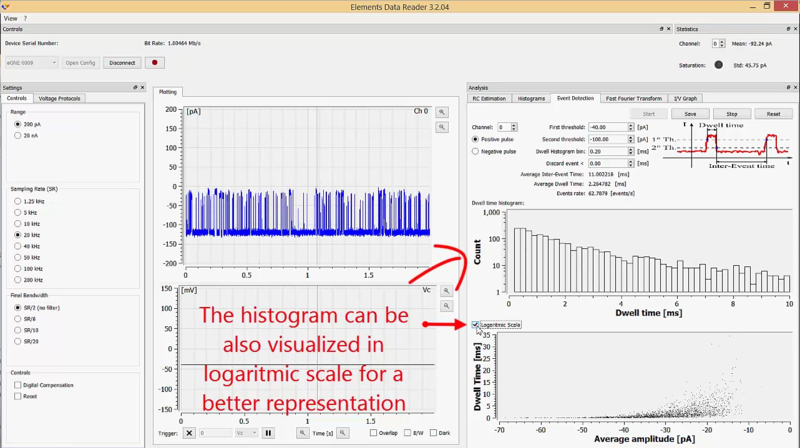 A variety of analysis can be done on live experiments, such as current histograms, Dwell and inter-event time histograms, I/V graph, FFT. 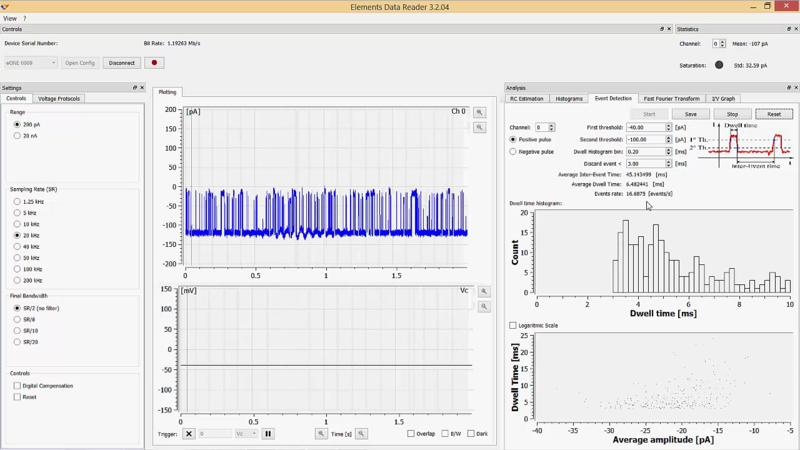 The analysis module is an optional plug-in for the EDR3 software. You can see how these analysis work in the following video.